Generalmajor Nazi Intelligence Service. Organisation Gehlen. 08-06-1979, age 77, Berg am Starnbergersee. Berg am Starnberger See. Stadtfriedhof. Gehlen, Reinhard, born 03-04-1902 in Erfurt, joined the Reichswehr in 1920. He attended the German Staff College, graduating in 1935, after which he was promoted to Hauptmann and attached to the Army General Staff. Under the Nazi government of Adolf Hitler, he was on the General Staff during 1935-1936. 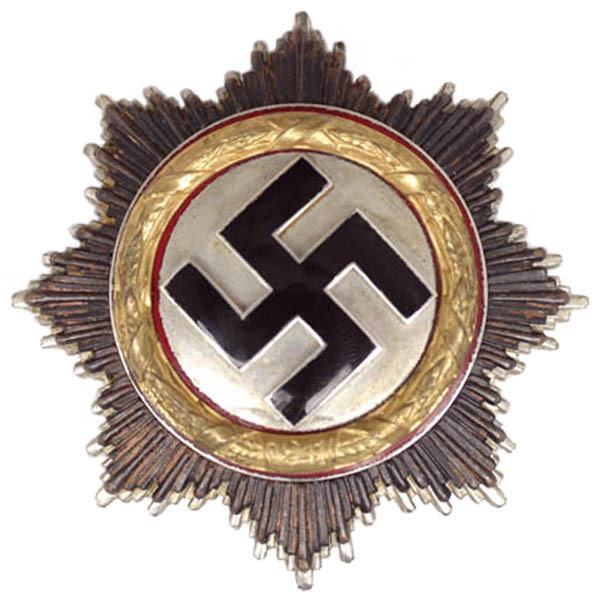 In 1939, Gehlen was promoted to Major. At the time of the 1939 German attack on Poland he was a staff officer of an infantry division. In 1940, Gehlen became liaison officer to Army Commander-in-Chief Field Marshal, Walther von Brauchitsch.
. In July 1941, Gehlen was promoted to the rank of Oberst, sent to the Eastern Front and assigned to the German General Staff, FHO or Foreign Armies East as a senior intelligence officer. It was in this post he had created a right-wing group made up of anti-Soviet Ukrainians and other Slavic nationalists into small armies and guerrilla units to fight the Soviets. The War Department Identity Card issued to “Hans Holbein,” the cover name of Generalmajor Reinhard Gehlen. The group carried out some of the most extreme atrocities that took place during the war. Gehlen was responsible for a brutal torture interrogation program of Soviet prisoners of war that resulted in the murder of three to four million Soviet prisoners. Nazi racial expert and SS intelligence specialist, who had led Einsatzgruppen mobile killing squads on the Eastern Front. Six survived the war and died age 65 on 09-07-1975 in Bolzano, Italy. Convicted of mass murder by an American military tribunal in 1948, Six was nonetheless given clemency in order to return to work for Gehlen’s Organization. The Gehlen Organization was also used to help Nazi war criminals escape to South America. In the watershed year of 1942, according to Gehlen’s memoir, he was approached by Oberst, Henning von Tresckow, Oberst der Kavallerie, Graf Claus Schenk von Stauffenberg and Generaleutnant der Wehrmacht, Adolf Heusinger. Death and burial ground of Gehlen, Reinhard. Gehlen died in 1979 at the age of 77, in Berg am Starnberger See and is buried on the Stadtfriedhof of Berg. Close by the grave of the actor/singer Heinz Rühmann. Gehlen visiting Halder’s funeral in Oberhausen near Weilheim. Cemetery and grave location of Gehlen, Reinhard.